GUWAHATI: A tea plantation company has been found to be reneging on its commitment to provide housing and other services to workers on its tea estates, according to a report by the compliance advisor ombudsman (CAO) for the International Finance Corporation (IFC). A World Bank investigation into a tea plantation project in India that it jointly finances with tea giant Tata Global Beverages has found that it has failed to tackle alleged abuses of impoverished workers, the group said on Wednesday. The International Finance Corporation (IFC) – a member of the World Bank Group – said its accountability office began a probe into the project, run by Amalgamated Plantations Private Limited (APPL), after reports tea pickers were being exploited. During coffee breaks at the past two annual Social Capital Markets (SOCAP) conferences, I’ve asked dozens of impact investors: Do you evaluate and mitigate the risk of social or environmental harm that your investments might cause? The World Bank has found serious shortcomings in the way Amalgamated Plantations Pvt. Ltd (APPL), India’s second largest tea producer, treated workers at its Assam plantations, said a study released on Monday. After a two-year-long investigation, the World Bank found that its arm, International Finance Corporation (IFC), had not followed due process while investing $7.8 million in APPL’s Assam tea plantations and that workers had not been given promised benefits by the tea producer. In a major blow to the tea industry, particularly the Amalgamated Plantations Private Limited (APPL) and World Bank group, the Compliance Advisor Ombudsman (CAO), which holds the World Bank Group accountable to its own policies, has found that low wages and poor working conditions on APPL plantations do not protect and promote the health of workers, and thus do not provide a way out of poverty. The Assam tea industry produces half of India’s tea and employs nearly 800,000 workers. Just a few companies dominate the landscape, with Tata Global Beverages, McLeod Russel and Unilever especially powerful. Tata own[s] almost half of Amalgamated Plantations Private Limited (APPL), a further 17% of which is owned by the International Finance Corporation (IFC) – the World Bank’s private sector arm – which invested $7.87 million in the company in 2009. A World Bank Group lender’s credibility has been threatened over questions involving its investment in the tea plantation unit run by Indian conglomerate Tata group, following complaints that the company pays workers just half the minimum wage. The World Bank Group’s International Finance Corp. is an investor. However, several of the company’s plantations have come under criticism from local nongovernmental organizations as workers toil long hours for less than minimum wage. In April, World Bank President Jim Yong Kim gave a talk in New York where he addressed development-induced environmental and human rights abuses. While referring to such abuses, President Kim reasoned “[y]ou cannot do the kind of work we are trying to do and not have some of these incidents happen.” Although he framed rights violations as regrettable, President Kim’s implication — that human rights violations and loss of life are sometimes an inevitable part of achieving development — is false. In a recent exposé, journalists from Reveal at The Center for Investigative Reporting exposed an accountability gap that has allowed the United States Department of Agriculture (USDA) to pour over $130 million of development assistance into projects run by Planet Aid. USDA continues to invest in Planet Aid even after being presented with evidence that their projects are tied to a corrupt and abusive cult. In mid-February the government of Nepal declared an energy crisis and began importing electricity from India in the hope of ending the daily power cuts of twelve hours or more in the capital of Kathmandu. In an accompanying policy, the “Electricity development decade”, the government announced ambitious plans to bring over 900 MW of new hydropower online in the next two years and ultimately export excess production to India. Are development finance institutions held accountable when their projects cause harm to communities and ecosystems? While “accountability” has become an oft-used and broadly-defined buzzword in development, much work remains to be done to ensure that institutions are indeed held to account in their everyday operations. According to a recent report by eleven international NGOs, including the Centre for Research on Multinational Corporations (SOMO), Accountability Counsel, Center for International Environmental Law, and Inclusive Development International, the evidence suggests that development finance institutions are failing to provide remedy to those harmed by their projects. Is the World Bank’s Inspection Panel working the way it should? When violations of bank policy are not formally investigated by the Inspection Panel, people who have been harmed by bank projects have nothing to point to for “external validation” of wrongdoing, Accountability Counsel Executive Director Natalie Bridgeman Fields told Devex. Further, formal investigations serve a critical role in promoting learning at the World Bank and within the board by establishing a “systemic level of accountability,” Fields said. So why would the Inspection Panel recommend against a formal investigation? If you ask the average Haitian, they probably do not know of their government’s plan to develop the country’s gold deposits through a formal mining sector. For over two years the government has been advancing a strategy to bring foreign mining companies into Haiti, yet hardly any information has been made public about a decision that will likely have sweeping implications for people throughout the country. There’s an ill wind blowing in Vinnytsa Oblast, and if one of Ukraine’s biggest agriculture companies keeps growing, things could get worse for the people living nearby, environmental, corporate and bank watchdog organizations from the European Union and Ukraine say. 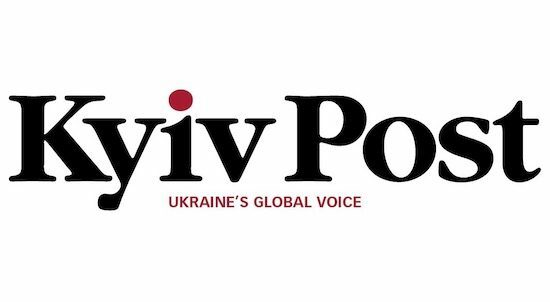 MyronivskyHliboproduct (MHP), which runs the biggest poultry farm in Europe near the village of Ladyzhyn southeast of Vinnytsa, was the subject of two reports released this September after a fact-finding mission of six environmental watchdogs visited the area in May. The World Bank failed to make sure that families displaced by a high-voltage power transmission line in Nepal were properly counted and compensated, an internal panel at the bank found this week. The revelation marks the latest instance in which the development giant was faulted by its own watchdog for not following its own rules on forced, or “involuntary,” resettlement.